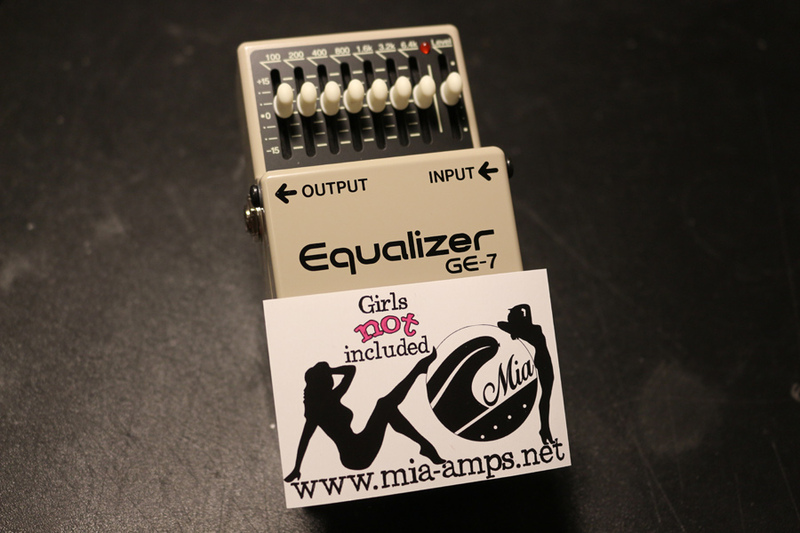 Boss GE-7 is very famous and widely used EQ-pedal, but it suffers a very annoying noise problems. This is mainly due to a selection of OP-amps. Boss compact pedals can be used with 9 volt batteries, so these pedals are designed for low power consumption. However, this design approach will always compromise some other features. In this article, I will show you how you can modify your pedal with less than 10$ to have a very low noise and overall better sound quality. In this case, the manufacturer has selected a very low current TL022 OP-amps to be used as a gyrators (OP-amp simulating an inductor). While TL022 is indeed very low current device with only 0.13mA per amplifier (two in each chip), it has a very poor noise figure of 50nV/√Hz (at 1kHz). Add six of these, and you will get a noisy pedal. Obvious option we have, is to change these OP-amps for low noise versions. However, we will lose the benefit of low current and long battery life. 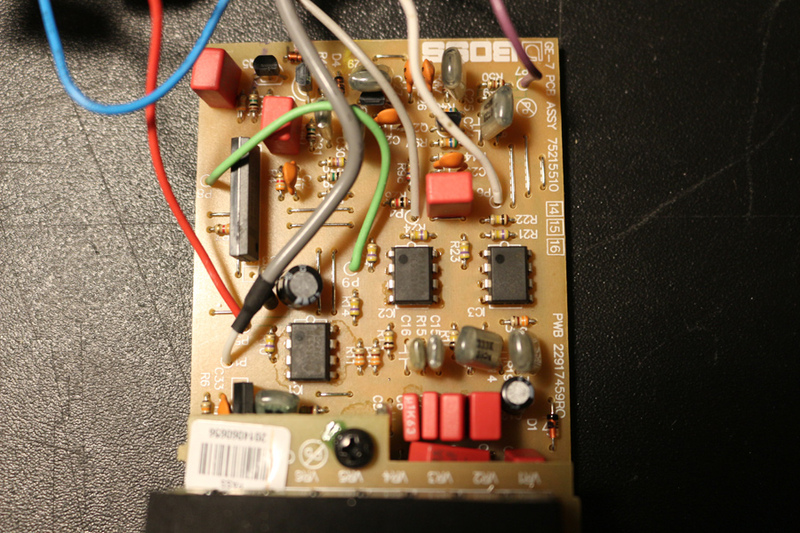 I have chosen to use NE5532 dual OP-amps for this modification. NE5532 has a very low noise figure of only 5nV/√Hz (at 1kHz). So that is ten times less than original TL022 OP-amps! Down side is, NE5532 will draw a lot more current per amplifier. In GE-7 manual current consumption of this pedal is rated at 10mA. After the modification, I measured mine to be 28mA. So it’s about three times more, and expected battery life will be of course three times shorter. First we have to disassemble the whole pedal. Remove all the white slider knobs. Just pull them off. Now remove four screws on the bottom of the pedal, and a fifth screw inside the pedal. This last screw holds two PCBs together. Lift the main PCB up, and be careful! Now you must remove both input and output jacks, and after that, everything should come out enough for us to do the modifications. 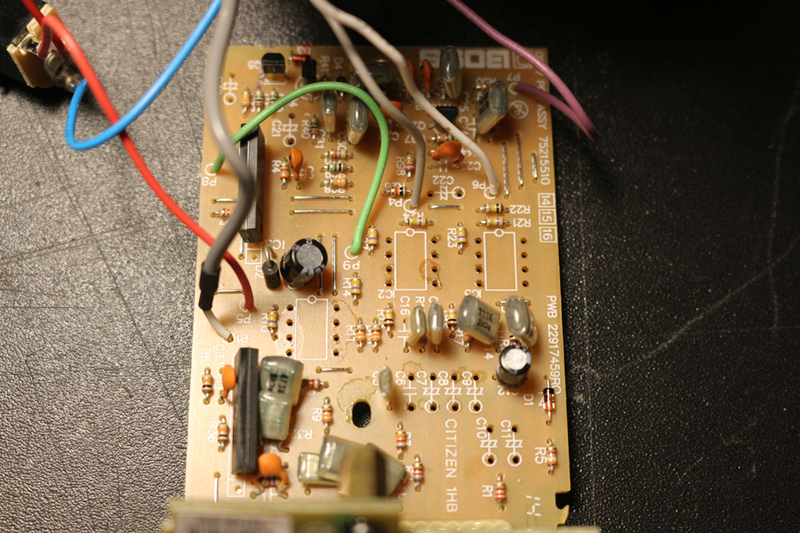 It is no surprise that Boss uses a low quality PCB’s for these pedals, so be very careful when you remove the components. It is very easy to rip off the copper tracks. 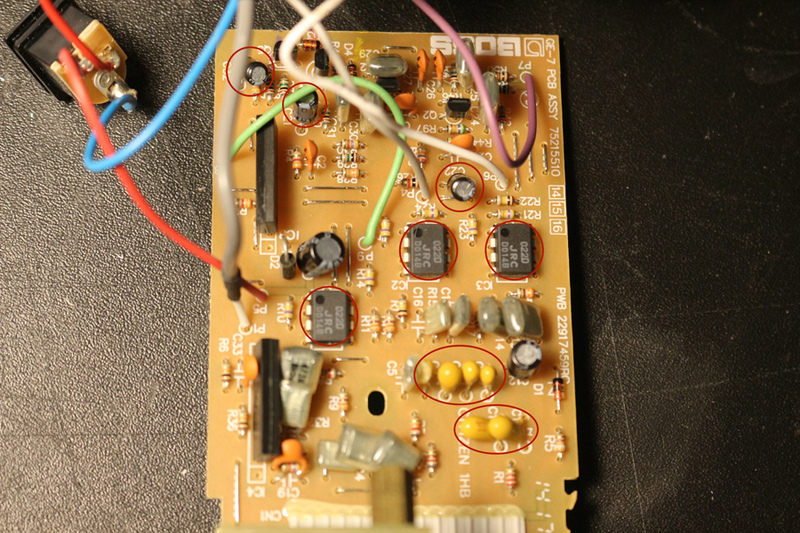 Use a solder wick to remove all the solder, and components will come out easily. This is the only benefit of one sided circuit board. I like to remove all the components at one go, and install the now ones at one go as well. You don’t have to do that, it’s easier to follow your progress if you change one component at a time. Some people on the internet suggest to use sockets for OP-amps, but I will not. Over time, sockets (even the very best ones) will loosen up, and problems will follow. Watch the OP-amp pinout when you install new ones. On PCB there is a circle on silk screen, and the OP-amp has a circle to mark pin 1. All OP-amps face the same direction. We can call these capacitors as a “tone capacitors” of the pedal. If you just want the low noise, you don’t have to change these caps. But if you do, you will find that the frequency bands are more refined, musical, smooth and precise. All the capacitors we are using are non polarized, so it doesn’t matter witch way you install them. I used a high quality Wima MKS2 5% polyester capacitors. These are much bigger than the original tantalum caps, but will fit fine nevertheless. Only capacitor value change is C11. This is 10µF tantalum capacitor. In the old GE-7 (MIJ version) this is 1µF. Change this value if you want to. This will make the sound a bit more cleaner (to me anyway). Last thing to do is to put the pedal back together. This can be a bit tricky, since it’s very tight fit. You should first put the slider board in place, then input and output jacks and then the main circuit board. And be careful not to rip of or squeeze any wires! This is not the most easiest mod to do, but it is well worth it. You can hear a clear difference between your old and “new” EQ-pedal. Of course you can go crazy with modifications, and change the led to different color, calculate new center frequencies and do many other things. There are even some commercial mod kits for this pedal. But for basic low noise and high fidelity modification, this is it. Any idea if this also works with GEB-7? Yes, this should work on GEB-7 as well, if the IC1, IC2 and IC3 are not already a low noise versions (I don’t think they are…). But I don’t have a GEB-7 in hand, so I’m not 100% sure! However, in bass EQ, the tone capacitors might be physically even bigger, so it might be a very thigh fit.